Phagocytosis is the process by which cells engulf large (typically ≥0.5 μm) particles, microbes, cellular debris, or portions of the extracellular environment. Phagocytosis, literally “cell eating”, was originally described by Ilya Mechnikov over a hundred years ago, for which he received the Nobel prize in 1908 together with Paul Ehrlich. During phagocytosis, a cell engulfs a target with its plasma membrane to form a new intracellular compartment called the phagosome, which acidifies and fills with proteolytic enzymes to degrade or kill the target. The origins of phagocytosis can be traced back to requirements for nutrient acquisition in single-celled organisms such as amoebae. These single-celled organisms internalized and degraded other microbes in order to obtain the basic building blocks of life: carbohydrates, lipids, and amino acids. 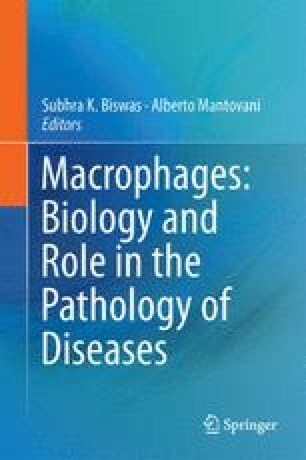 As multicellular organisms evolved specific organs to compartmentalize nutrient degradation, phagocytosis of particulate matter by individual cells became restricted largely (but not exclusively) to specialized cells within the immune system including macrophages, dendritic cells, and neutrophils. These phagocytes use the process of phagocytosis to survey their microenvironments for danger and to kill potentially harmful microbes. It is also necessary for clearance of apoptotic cells and tissue debris as part of normal tissue homeostasis and repair.